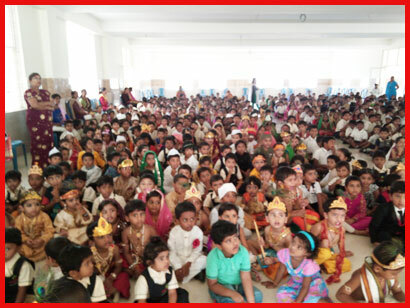 A large hall which can accommodate around 2000 students, for the purpose of conducting different programs like internal celebrations, competitions, yoga, etc. And students can gather here group wise without causing any disturbance to the other classes. A spacious dining hall has been provided with comfortable seating/dining arrangements where around 500 students can dine at a time. Kids Theater has been equipped with a screen / projector / CPU / sound system with comfortable step wise seating arrangements for screening short films or movies and for organizing any orientation / enrichment / training programs or seminars. 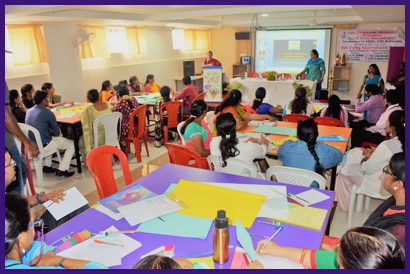 It’s a place of excitement and enthusiasm for primary and pre-primary kids as it has been equipped with hundreds of colorful material related to the core subjects of primary and pre-primary classes. Here students can practically touch / feel and learn / understand many concepts. These articles can also inculcate enthusiasm and increase their concentration and interest in core subjects and gives them better understanding.